Integrate FlexGet with the Transmission bittorrent client to automate your torrent downloads. It should be no surprise that there's a Transmission FlexGet Howto tutorial, to integrate both of them. After all, you can do many other things with FlexGet besides integrate FlexGet and Transmission. You can integrate FlexGet and CouchPotato, to download the movies on your CouchPotato wanted list. You can also automate these processes if you use the FlexGet Daemon mode. To use FlexGet and Transmission together, you should set up a Transmission FlexGet Config file, within the config.yml file on your FlexGet installation. How to integrate FlexGet and Transmission? 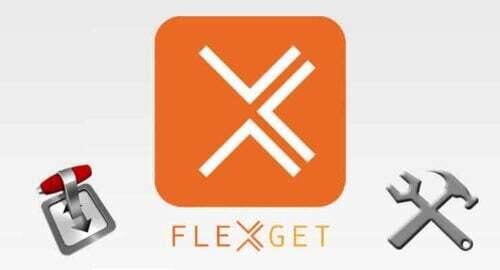 To begin with FlexGet configuration in order to use Flexget with transmission, you should make sure that the transmissionrpc library is installed. To install transmissionrpc, you will have to run one of these commands in Ubuntu terminal or similar. You should see something like this on your terminal when installing transmissionrpc. If you are required to upgrade transmissionrpc simply add --upgrade to the command used. This is an example of a default FlexGet Transmission Config file. Note the username and password are the default ones for transmissionrpc. Note that for this configuration file we're using the default parameters of transmission. If you haven't changed the username and password, it will be transmission for both fields as well. That's it! You have successfully edited your configuration file to integrate FlexGet and Transmission bittorrent client. If you need more information about the transmission plugin, have a look at the transmission plugin FlexGet wiki page. This setup also supports magnet links, so you will have more freedom of choice when working with FlexGet and Transmission for your downloads. If you need more tips to configure your FlexGet installation, have a look at our FlexGet configuration guide. You can also setup FlexGet email notification in order to always be informed about the state of your downloads. The possibilities with FlexGet are endless, because it's a lite and modular software, though it doesn't have a graphical interface yet. A FlexGet WebUI is on the works, and this will make it easier to work with FlexGet and open up even more possibilities to automate your downloads with it, so stay tuned!